HEM technology is actively used for production of Sapphire crystals of a large scale. This technology is characterized by a high level of process automatisation. In these conditions a well developed hotzone design and process recipe are becoming key factors to grow large weight and high quality sapphire boules. 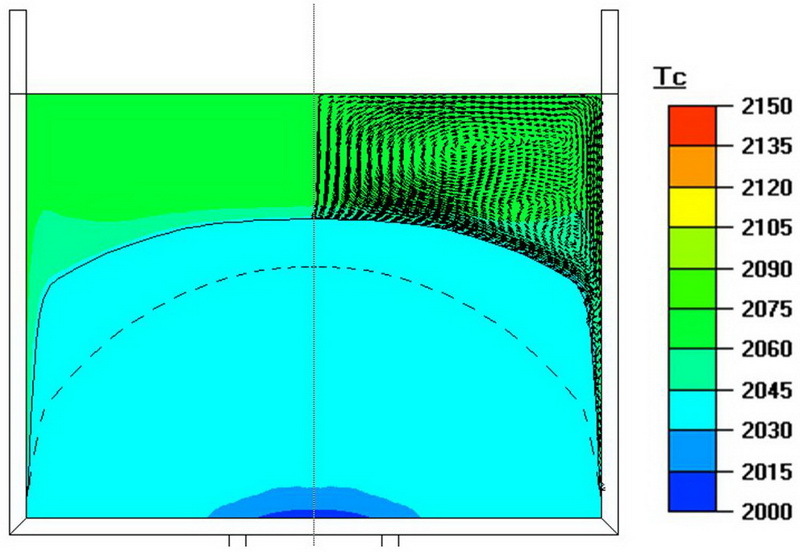 Unique approaches developed in STR allow performing fully unsteady computations of crystal growth process using HEM with precise modeling of radiative heat transfer in the crystal and careful account of the distance between the crystal and the crucible, see Fig. 1. Melt flow during HEM sapphire growth is mostly governed by Marangoni forces acting along the melt free surface and buoyancy effects caused by a strongly convex shape of the melt/crystal interface. 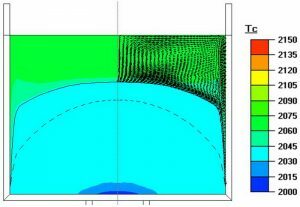 CGSim software is carefully taking these effects into account by solving a coupled problem of heat transfer and melt flow, Fig. 2. Typically low values of the melt velocity in HEM is a primary reason of high concentration of impurities along the melt/crystal interface, which results in a high probability of bubble formation in case of sudden increase of the crystallization rate. 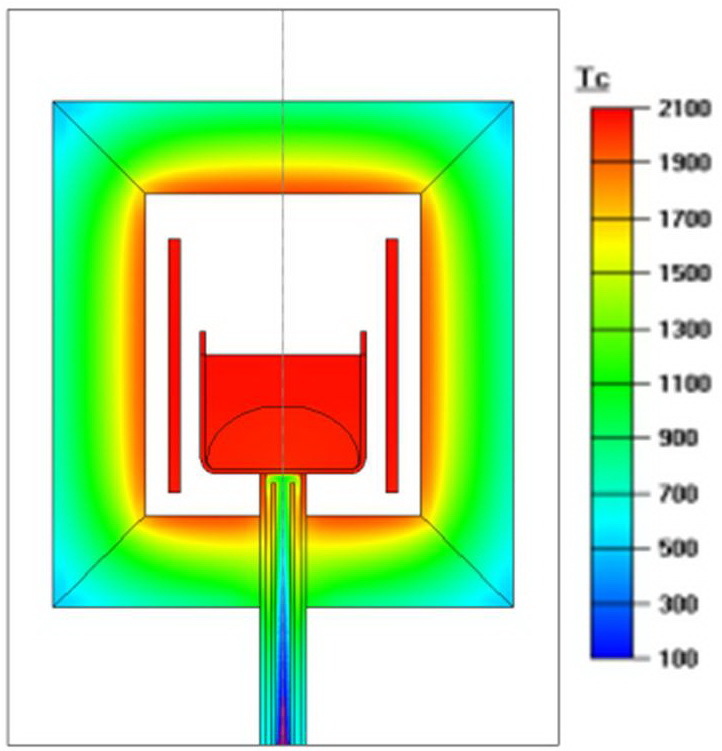 Optimization of melt convection is a powerful approach to reduce concentration of impurities. CGSim software provide modeling capabilities for precise computation of thermal stresses in the crystal, Fig. 3. Reduction of thermal stresses in the crystal during the growth process helps to reduce dislocation density in the crystal and increase its quality and reduce probability of crystal cracking after cooling process.